The Phoenix Suns shocked the basketball world Sunday, taking down the two-time defending champions 115-111 in Golden State. The Warriors blew a 16-point first-half lead and finished 10-of-43 from three-point land. After the game, guard Klay Thompson called it the worst loss of their season. 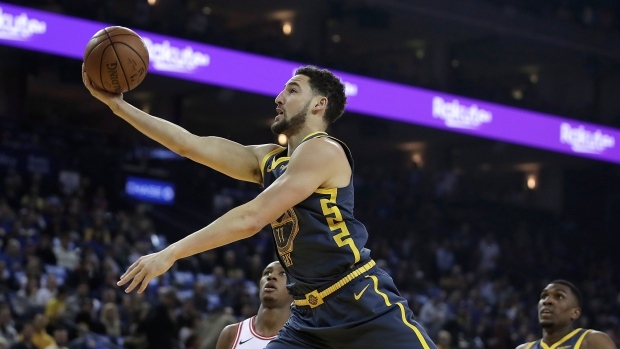 In addition to the team's overall performance, Thompson told ESPN he was disappointed by what he felt was a lack of enthusiasm from the fans at Oracle Arena in the team's last season at the Oakland Arena. "I expect our crowd to be a little more into it, too. Like, I know it's not the playoffs, but it is our last go-around at Oracle. Least you can stand up or something when we make a good play, especially in the beginning. We need that energy, especially this time of the year. It's hard to conjure up energy every single night because you're looking forward to the playoffs and that run," Thompson said. "It's like us, though. You can't bring it every night but still it helps," he added. "It doesn't matter if we're playing the Suns or the Bucks, whoever it is. We need that energy from them because we feed off that." The loss marked the first time in 19 games the Suns took down the Warriors, with Phoenix's last victory coming in November of 2014. It was also the Suns' first road win all season against a Western Conference team. Thompson had a team-high 28 points in the defeat. "It was the right outcome. They beat the crap out of us," head coach Steve Kerr said. "We laid an egg." Golden State will be back in action Wednesday in Houston against the Rockets, while the final regular season game at Oracle will come April 7 against the Los Angeles Clippers.